Jamestown, Virginia. Jamestown is the first successful English settlement in the New World, created back in 1607. You might find a lot here, including old artifacts from early settlers, Powhatan villages, a recreated 1610 forts. Stopping by the Back, or the James River could be fun, and the official settlement is a sight to see. You might even be able to see a replica of one of the three ships that cross the Atlantic to get to Jamestown, the Susan Constant! Williamsburg, Virginia. Williamsburg was once the capital of Colonial Virginia, forming a triangle with Jamestown and Yorktown. In the heart of Williamsburg is Colonial Williamsburg, with a real village where colonists once lived, and actors performing re-enactments in costume, and kids playing colonial children’s games across the streets! Visit old shops and see relics of what life was like back in the 1600s. Roanoke Island, North Carolina. Previously a colony of England is a tragic ghost story. A crew was sent out from England to find land. They found this island, which they called Roanoke Island. Life was doing well there. The fort was safe, and they soon interacted with the Native Americans, becoming friends with them. The captain had gone back to England to bring back more supplies. After close to around a year, he returned to the colony, but what he found shocked him. The fort was deserted. Nothing left. It was overgrown, as though it had been abandoned a while ago. There were no signs of life- or skeletons. The colonists were gone. While the captain searched, he stumbled across a tree with a marking. The marking was a code they’d developed, signaling for help. 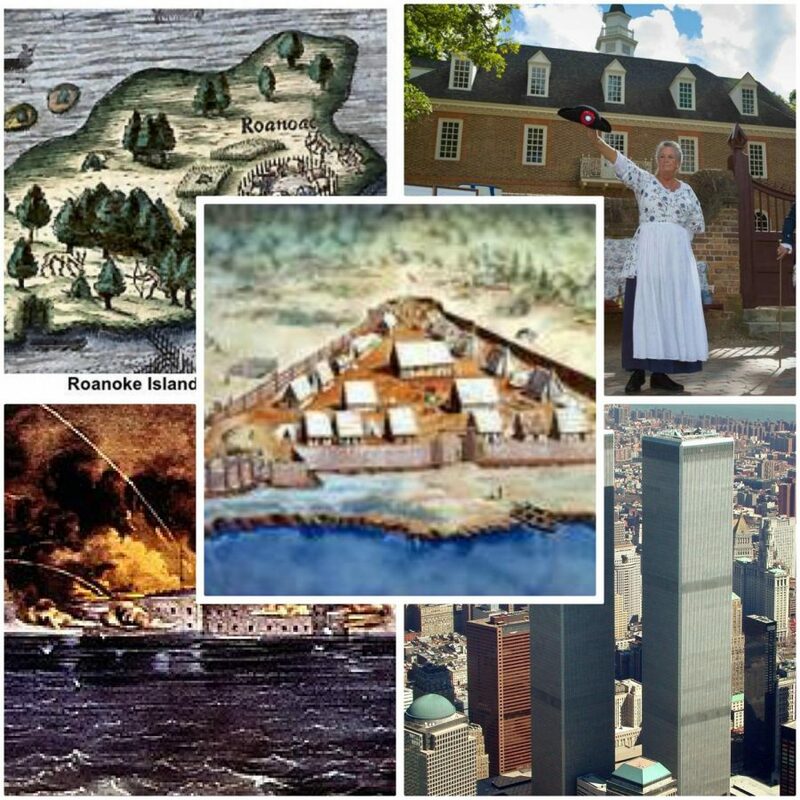 But centuries later, no one knows what happened to the Lost Colony of Roanoke Island. Fort Sumter, South Carolina. In Charleston, South Carolina, Fort Sumter was a sea fort. Built after the War of 1812, it was a high-class fort, built to withstand attacks. But on the morning of April 12, 1861, the Confederate opened fire and marked the beginning of the Civil War. World Trade Center, New York. Two giant twins stood the tallest buildings in the world. Home to many people’s jobs, it was extremely busy in New York. But it all changed when in the morning of September 11, 2001, a plane crashed into one of the towers. Today, where the towers once stood, is a memorial honoring all those who died in the attacks. Take a moment, just to honor them too. If any of these places catch your attention, try to get your parents to go there for spring break! Because I’m pretty sure you ain’t going by yourself.